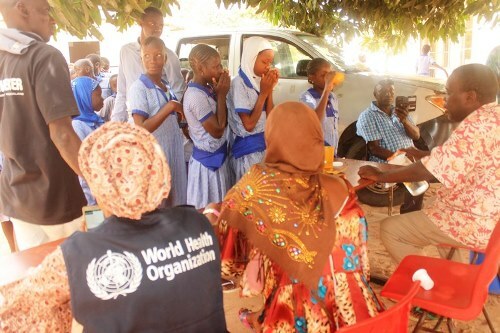 Gambia’s ministry of health in partnership with the World Health Organisation (WHO) Monday launches a two-week campaign to help eliminate worm-related diseases, said to be steadily on the rise in the country. Health officials said the campaign targets over 100,000 Gambian children, between 1 to 14 years old, who are exposed to Schistosomiasis and Soil-transmitted Helminthiasis, both described as neglected tropical diseases. They plan to reach out to 26 districts within the campaign period, with the aim to eliminate these worm-related diseases. They are more prevalent in the Central and Upper River regions of The Gambia, affecting over 60000 children, mainly due to contact with worm-infested waters. According to WHO, about 25 to 35% of school-going children in Sub-Saharan Africa are affected with one or more worms, which usually affect children physically, nutritionally and cognitively. It added that the most common worms in The Gambia are Schistosomiasis and Soil Transmitted Helminthiasis, and that the mass drugs administration exercise is meant to eliminate the diseases in The Gambia and in Sub-Saharan Africa.